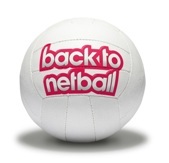 Several tournaments have been arranged to take place in Lincolnshire, open to any Back to Netball team from across the East Midlands. Click Here to download the Entry Form. An opportunity for level 2 coaches has arisen to work with The National Deaf Children’s Society on two multi sports activity days to deliver netball to 8-16 year olds (specific competence/experience working with deaf participants not required). The European Netball Federation, Netball Europe, recently confirmed that in recognition of their outstanding service to the support and development of netball in the European Region, Carol Spencer and Alan Anderson, from England have been awarded the Netball Europe Service Award. See the report for further information. The East Midlands Region, would like to take this opportunity to say a huge thank you to Anne Henderson for all that she has done for the East Midlands Region in her time in post, she has worked tirelessly going over and above her remit as Regional Manager to assist us all. Anne will be sorely missed and we wish to extend our very best wishes to her for the future.